I may be beating a dead horse here, but it’s worth mentioning just in case anyone may not be aware of the Motorola Moto G and how it’s The Best Android Phone in the Best Bang for Your Buck category. For our full review of the Moto G be sure to check out our very own Nick’s full written review, as this isn’t entirely a review, but merely a reference for people that want a mid to high end phone with a low end phone price tag. 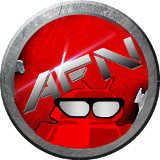 Are there better Android phones available that may have better hardware and software specs? Absolutely! 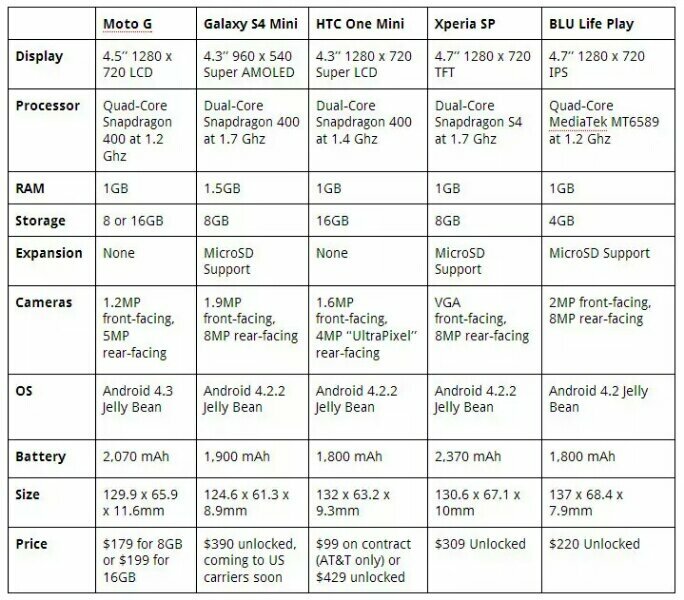 Is there an Android phone available for under $200 with these kind of specs and an all around great phone that anyone would be proud to own? Not even close! As a matter fact there isn’t even a close second place. It’s also worth mentioning that the Moto G is a little over a month old, and development is absolutely off the hook. Seriously, it’s almost Nexus-like! The Moto G is essentially a Moto X “mini”. Let’s take a look at other minis by HTC, Samsung, Sony, and even the Blu Life Play. The Moto G has all of the above beat in just about every category. This should be an eye opener of what an incredible device you’re getting with those “off contract” prices. I have a lot of people in my life that want to own a smart phone, but the $600-$700 price tags completely scare them off. They end up either sticking with the phone they have, which is completely outdated, or they head to Walmart, Boost Mobile, or the like and pick up an $80 complete piece of crap that continues to shine Android in a bad light. I try to convince them with everything I have that they should go out, and grab a Moto G. Letting them know they can get pretty-colored back plates for the Moto G generally spikes their interest quite a bit. So what have we learned here besides the fact that I’m a huge fan of the Motorola Moto G for a plethora reasons? The answer to that question is, the Motorola Moto G is hands down, without a doubt the best bang for your buck Android phone available. 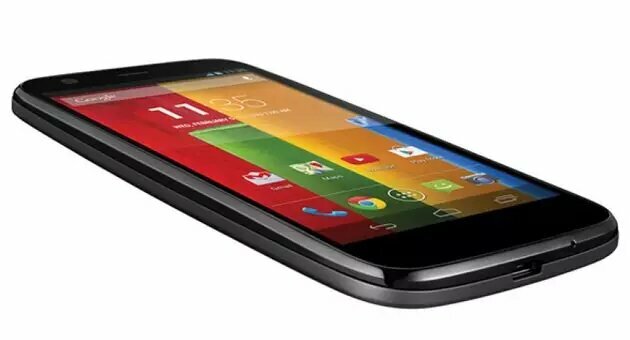 We can only hope that other OEM’s follow suite in every way Motorola executed the Moto G.
For those of you that feel the sky is falling due to the whole thing with Google selling Motorola, be sure to read Kenny’s article about the whole thing. He sums it up well. To wrap this up, I challenge you readers to find a close second place to the Moto G in the best bang for your buck phone. I realize you can go to CTO, Craigslist, and even Fleabay, and find deals on current phones in the $200 ballpark. Sure you can find a Samsung Galaxy SIII or similar phones in that price range from the above mentioned sites, but is the Galaxy SIII a better phone? I don’t think so. The Moto G is a rare species, and we can only hope this type of species doesn’t become extinct. Let’s hope this phone sells off the hook, is extremely successful, and other OEMs follow suit. Most Android phones that fall under the $200 are the phones that continue to give Android a bad name. Not the Moto G! For under $200 the Moto G brings you the latest version of Android, 4.4.2, a brilliant screen, battery life that will even impress Motorola Droid Maxx owners, a close to stock Android experience, the ability to buy different color back plates to make it your own (colored back plates can be found on Amazon starting at $15), and so many other fantastic reasons to buy a Moto G.
Let us know in the comments if you’re aware of a phone that deserves a close second place to the Moto G in the best bang for your buck phone! This entry was posted in News, Rants & Opinions and tagged Moto G, motorola. Bookmark the permalink.